RealClear Media Group, parent company to RealClear Politics and 14 related RealClear internet sites, launched a new service today called RealClear Opinion Research, in partnership with SocialSphere, Inc. a public opinion and analytics company based in Cambridge, MA founded by Harvard Kennedy School Institute of Politics polling director John Della Volpe and Jonathan Chavez. RealClear Opinion Research will employ rigorous survey methods, polling, social media analytics, and proprietary technology to measure and interpret public sentiment, providing actionable insights and practical strategies for clients seeking a better understanding of trends in public opinion. “This move into original public opinion research is a natural next move for RealClear Media, and represents a major step towards our goal of building an integrated company that offers a full range of media and research services,” said RealClearPolitics CEO and co-Founder, John McIntyre. 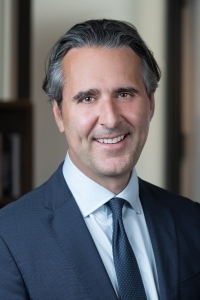 Della Volpe is the Director of Polling at the Harvard Kennedy School Institute of Politics, where he has led the institute’s polling initiatives on understanding American youth since 2000. The Washington Post referred to John as one of the world’s leading authorities on global sentiment, opinion and influence especially among Millennials and in the age of digital and social media. John is also founder of SocialSphere, a Cambridge based public opinion and analytics company. Since its founding in 2000, RealClear Politics has become the nation’s most trusted non-partisan platform for political news. In addition to RealClearPolitics, RealClear Media Group’s brands cover a wide range of interests from defense and religion to energy and science.